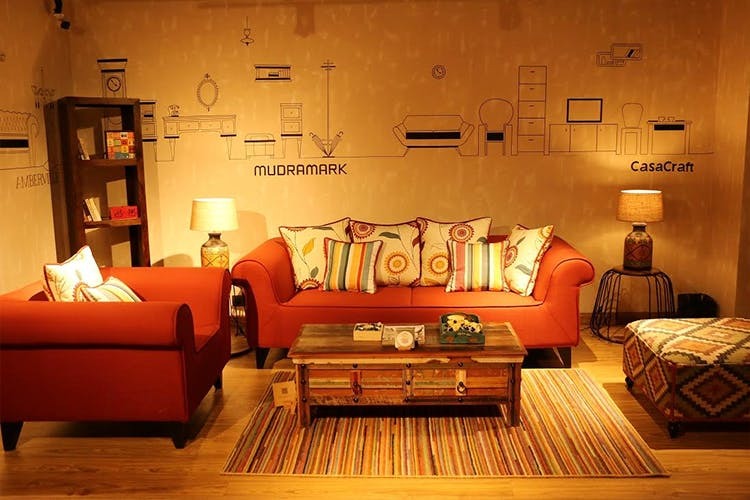 The well known furniture website, Pepperfry is out with its very own studio where they showcase their products for customers to get an idea of the quality and style of products. What stands out about their collection is their variety of eclectic products. From shelves to wall decor, their fancy and unique products will add colour to your home. Want something simple? Check out their collection of straight line furniture which oozes minimal chic. Pepperfry won’t dissapoint you when it comes to variety. They have a kid’s section, that will give your little ones a room of their dreams and their bar shelves will make your wine collection look just what it’s worth! Their styles vary from modern, ethnic,vintage, covering every style for every room. Though the products displayed at the studio are not for sale but if you love something, go online and book that very product. The kitchen appliances are customised based on the size and shape of your kitchen. Don’t go running around for a budged delivery man, their prices are inclusive of delievry and assembly.